The MedLite® laser at Tattoo Removal Services Frederick Maryland is the only Q-Switched laser emitting up to 4 wavelengths, while other Q-Switched lasers (ruby, alexandrite) produce only one wavelength. MedLite® offers the greatest number of wavelengths for more color removal (black, dark and sky blue, red, orange, green). 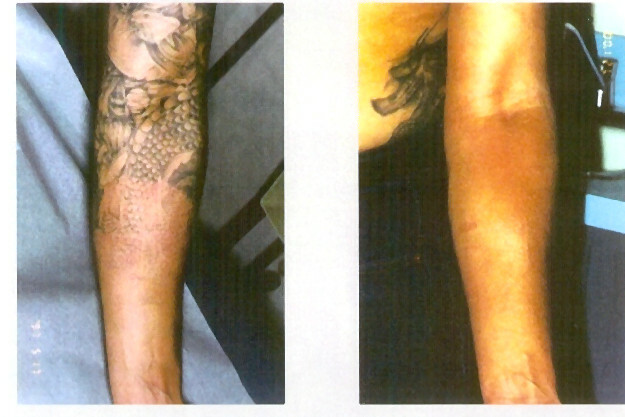 The MedLite® laser tattoo removal is recognized as very safe. Any skin type, even dark skin, can be treated at Tattoo Removal Frederick Maryland Services. The risk of scars or skin modifications is extremely rare with MedLite®. It is a true short pulse laser, unlike table top Q-Switched lasers, known as passive Q-Switched lasers. These lasers create too much heat which increases the chances of scars significantly. Occasionally, there could be pinpoint bleeding associated with treatment. The post-treatment redness disappears in a few days. The MedLite® laser tattoo removal at Tattoo Removal Services Frederick Maryland emits light in very short pulses, which does not heat the skin. No skin cooling system is necessary, unlike the vast majority of long pulse lasers. Actually the felt sensation depends on the sensitivity of each individual. It also depends on the size, on the density, and on the location of the tattoo. This sensation feels like the snap of a small rubber band on the skin. The majority of patients do not require anesthesia. 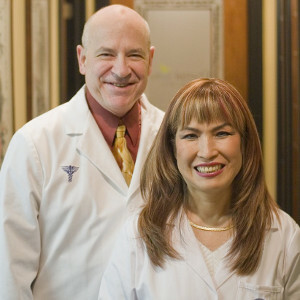 However anesthesia creams can be applied before the treatment, if needed. Due to large spot sizes and high repetition rates (up to 10 pulses per second), MedLite® Laser tattoo removal at Frederick Maryland Tattoo Removal Services allows for quick treatment time even for big tattoos.